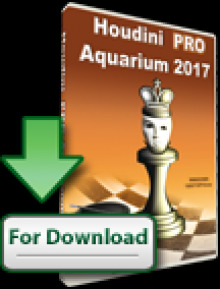 GM Daniel Fridman won his last round game and finished with 7,5/9 points in the 2012 German Chess Championship to claim sole first place in the competition. As with many chess champions, Fridman learned the rules of the game at an early age, around four years. He soon became a regular player of youth tournaments, competing on a national, regional and international stage. His biggest junior success occurred at Duisberg in 1992, when he took home a bronze medal in the Under-16 category of the World Youth Chess Championship. 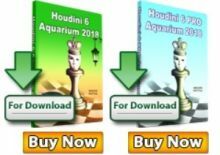 By the mid-1990s, Fridman was recognised as a serious force in Latvian chess and he went on to win the national championship in 1996, having gained the International Master title in 1994. 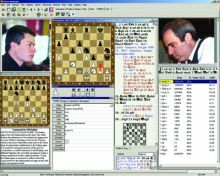 Leaving his junior status behind, there were some early international tournament successes such as at the Wichern Open in Hamburg in 1997 (joint second place, behind Sergei Movsesian) and Senden in 1998 (joint winner with Frank Holzke). In 1999 he relocated to Germany and qualified as a Grandmaster in 2001. Most of Fridman’s major tournament victories have occurred after the year 2000. These include outright or shared first places at Essen (‘B’ Group) 2001, Recklinghausen Summer Open 2002, Zurich Christmas Open 2002, Southampton, Bermuda 2003 (‘B’ Group), Stratton Mountain 2004, Marseille Open 2006, Nuremberg 2006, Lausanne 2006, Venaco (Corsica) 2006 and the Liverpool International Open of 2007. He won the German Championship at Bad Wörishofen in 2008. He is a renowned master of speed chess and among other victories, took first places at the Essen rapid contest of 2000 and Dutch Open rapid tourney of 2008. Playing internet competitions, he has enjoyed success at the Dos Hermanas tournaments of 2004 and 2005. In team events GM Fridman represented the Latvian men’s team on board 4 at the Yerevan Oympiad of 1996 and at the Pula 1997 European Team Chess Championship. 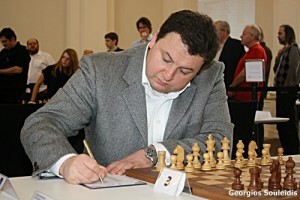 He returned to the Olympiad team as first board in 2004 (Calvia) and in 2006 (Turin). Having become a German citizen, he has since switched chess federations and as incumbent national champion in 2008, was an automatic choice for the German team at the Dresden Olympiad. In 2012 he snatched the first place at the ETCC with the team of Germany. Playing league chess in the Bundesliga, he has been a member of the Mulheim Nord club since 2004.